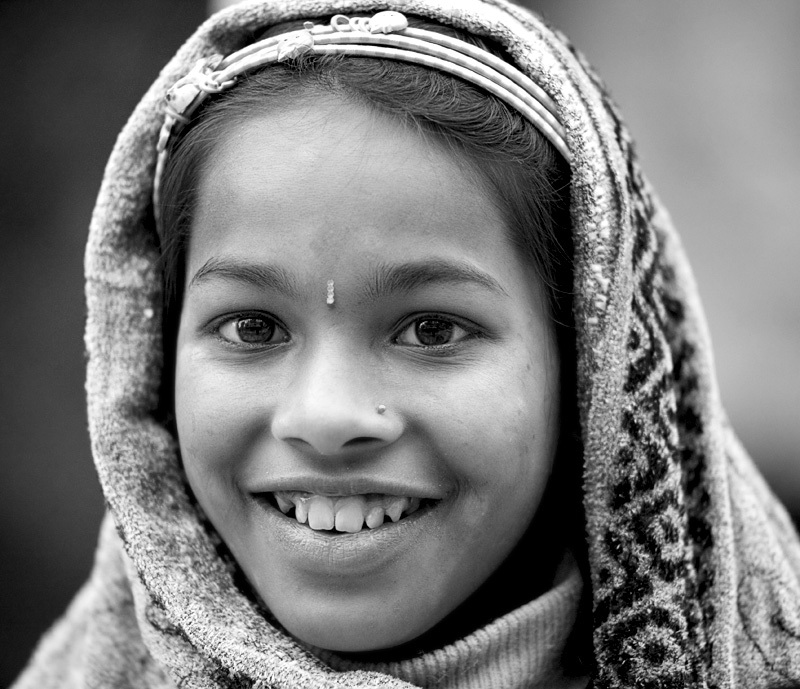 A local Sikkimese girl pauses for a quick portrait. Sikkim is situated in the northeast corner of India but more importantly, within the swath of Buddhist land bordering southern Tibet where the Asian and Indian divide is evident in the diverse ethnic makeup its people. Because Sikkim state occupies a slightly tense border area with neighboring China, foreign travelers are required to register before entering and are allowed only a handful of destinations to visit in a 2 week time span. Thanks, Alee... the thing is, she was wearing a black and gray scarf and the background was gray so overall, it was best to convert to black and white.